St-Malo was named after Maclow a monk who came from Wales in the 6th century. Your private guide will take you to the original settlement of the monk : Alet area, a beautiful site with an impressive 180° overview of the bay and the Rance river mouth. A very stategic location too with the most recent examples of contruction, the 18th century military fort built under the king Louis the 15th and as a part of the the atlantic wall a German heavy battery artillery dating from World War 2. You will definitely enjoy strolling in the old town and getting the overview outside the walls. 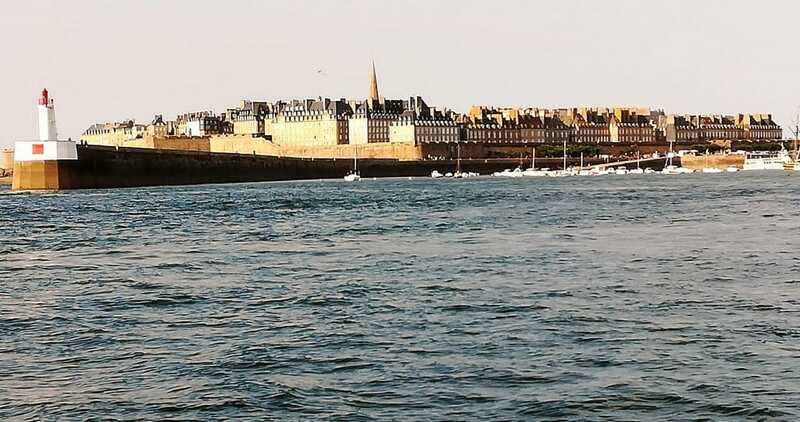 Leaving this impressive town your private guide will drive you through the world’s capital of the oysters : Cancale. 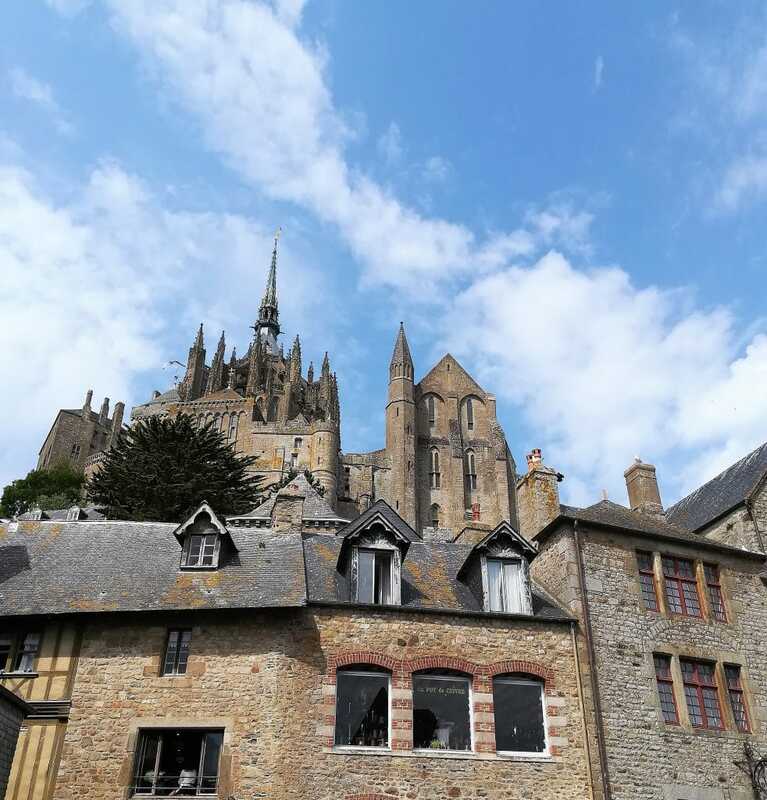 Then you will have a private guide visit of le Mont Saint Michel. To reach this unique place in the world, also known as the Marvel of the Western World, the sea has to draw aside to let anyone go through. The Mont Saint Michel is at the same time a village, an island and an abbey erected on the top of the rock at almost 100 meters high (300 feet). Overlord Operation, Neptune Operation, Cobra Operation, Epsom Operation…are some of the events that took place in Normandy that your private guide will inform you about. Most of all, you will be in the Dday sites where millions of Allied Troops landed on June 6th 1944 during several weeks. On this day you will discover the west side of the coastline. The furthest beach in the west side of the coastline is Utah in the south of the Cherbourg peninsula where around 15000 paratroopers of the 82nd and 101st US Airborne Division jumped into the night to start the combat and to capture the village of Sainte Mère Eglise and its surroundings where you will stop to get the full picture of the liberation of the town. You will also have the opportunity to visit one of the two main museums; the Airborne Museum or the Utah Beach Museum. Then you will head to La Pointe du Hoc to see what the courage and the sacrifice of the 225 rangers achieved on the the top of 30 meters high cliffs (100 feet). A must see stop! After an enjoyable lunch break (lunch not included) you will stop in Omaha Beach where the landscape gives a very good idea about what the GI’S of the 1st and 29th US Infantry division had to go through, threatened by the German defense positions mainly on the bluff. 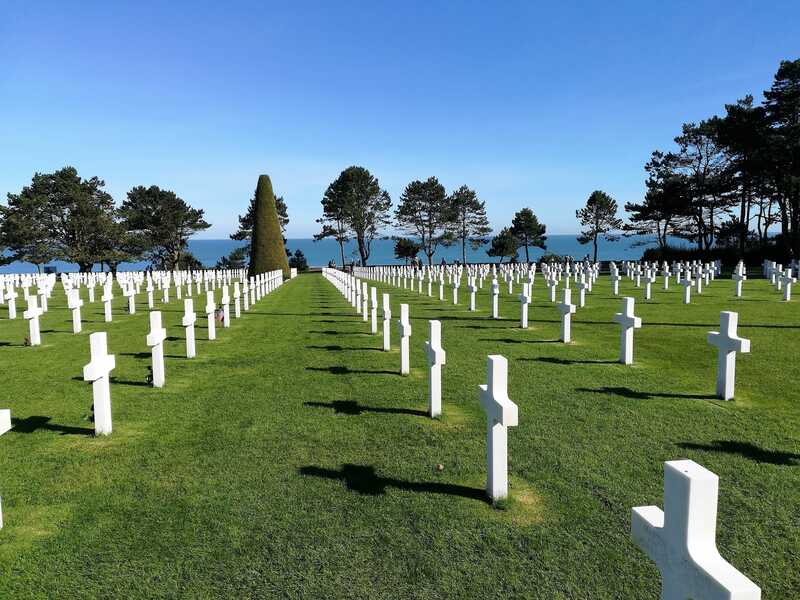 The US Military Cemetery since 1956 overlooks the east side of Omaha Beach. You will stop in that 175 accres site where the visitor center is one of the most informative. After that moving day you will head back to your accomodation. On this day you will cover the east side of the coastline. You will start with Longues Battery a heavy German battery of artillery to have an example of how big was the threat on the Allies. Then to Gold Beach and the town of Arromanches les Bains in the British sector where you will see what remains from Mulberry B, the port that was made in front of the little town of Arromanches Les Bains. During this visit you will realize that logistics was one of the most impressive and conclusive aspects of the war. Then the Canadian sector is nearby. You will stop in Juno Beach and discover that on june 6th 1944 the canadian troops were those that went the furthest inland. After an enjoyable lunch break (lunch not included) you will head to the surroundings of Caen to Pegasus Bridge one the first site captured during the battle of Normandy by the 6th British Airborne Division in gliders, definitely one of the sharpest action. Afterwards you will head back to your accomodation. (we recommend a pick up not later than 8.30 am, entrance fee included also in the mentioned Dday museum. Meals and accommodation not included).